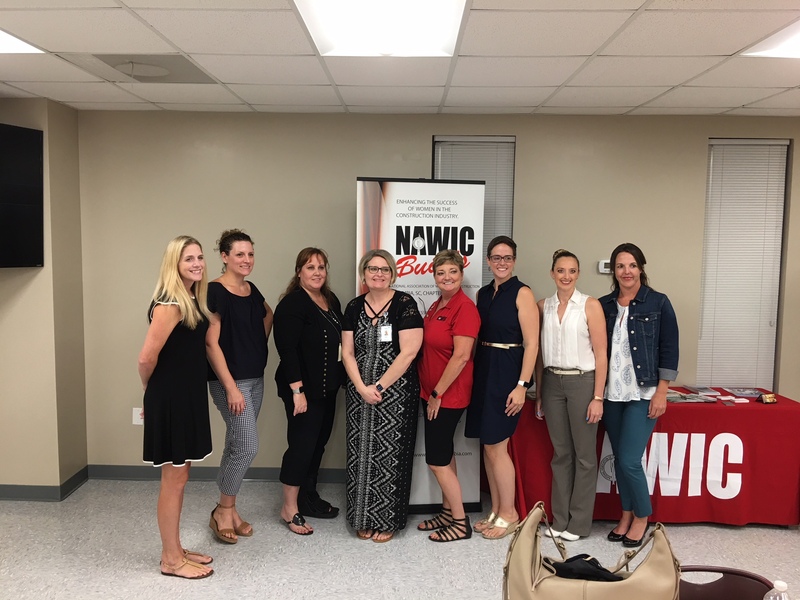 The National Association of Women in Construction (NAWIC), NAWIC’s South Atlantic Region, and NAWIC Chapter #113 (sponsoring chapter located in Columbia, SC) is proud to announce the newest chapter to join the organization: Palmetto Chapter of SC #385. Treasurer: Janice Toporek, Metro Electric Co.
We also appreciate the support of industry partners with the pre-organizational meeting and networking social on June 26, 2018, organizational meeting on July 26, 2018, and official chartering ceremony on August 28, 2018. Sponsors include Hood Construction, Seamon Whiteside, Carolina Tap & Bore, Waste Management, Haywood Baker, McWaters, Landmark Construction, ESP Associates, Davis & Floyd, Choate Construction, and the Charleston Electrical Contractors. We could not have done this without you!